Extensive use of nanotechnology in commercial products has lead to the generation of waste products consist of synthetic nanomaterials (NMs), also referred as “nanowaste”. Disposal of nanowaste requires appropriate framework to ensure that it does not cause adverse effect on the human health and environment. Several NMs are used at industrial level such as TiO2 NPs provides white color to paints. The major amount of TiO2 NPs is released into water from building paint. NPs can also be used in textile industries and provide antimicrobial, flame resistance and self-cleaning properties to fabrics but can be released into the environment by general means like hard wash, and sweating etc. Cosmetic products are another sources of NPs such as ZnO and TiO2. In health sectors, NMs have found wide range of applications including the construction of theranostic systems and anti-infective agents. These NMs further ends up their life in water bodies, landfills, soil and air while contaminating surrounding environment. Thus, with the increasing commercial value of NMs, their release in environment and exposure to living system also increases which eventually lead to induce epigenetic toxicity. 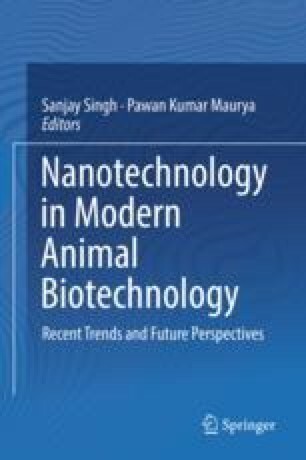 Therefore, this chapter has been designed to focus towards the possible ways of release of NMs from consumer nanoproducts to the environment and their subsequent harmful effects on human health and living ecosystems. Towards the end of the chapter, various strategies being developed for the removal of NMs from the environment has also been discussed. R. Singh thanks to the Department of Science and Technology, New Delhi, for providing INSPIRE Senior Research Fellowship (SRF). The financial assistance for the Centre for Nanotechnology Research and Applications (CENTRA) by The Gujarat Institute for Chemical Technology (GICT) is acknowledged. The funding from the Department of Science and Technology - Science and Engineering Research Board (SERB) (Grant No. : ILS/SERB/2015-16/01) to Dr. Sanjay Singh under the scheme of a Start-Up Research Grant (Young Scientists) in Life Sciences is also gratefully acknowledged. Lowry, G. V., Gregory, K. B., Apte, S. C., & Lead, J. R. (2012). Transformations of nanomaterials in the environment. Environmental Science & Technology, 46(13), 6893–6899. ACS Publications. Ng, C. T., Baeg, G. H., Yu, L. C., Ong, C. N., & Bay, B. H. (2017). Biomedical applications of nanomaterials as therapeutics. Current Medicinal Chemistry. https://doi.org/10.2174/0929867324666170331120328.